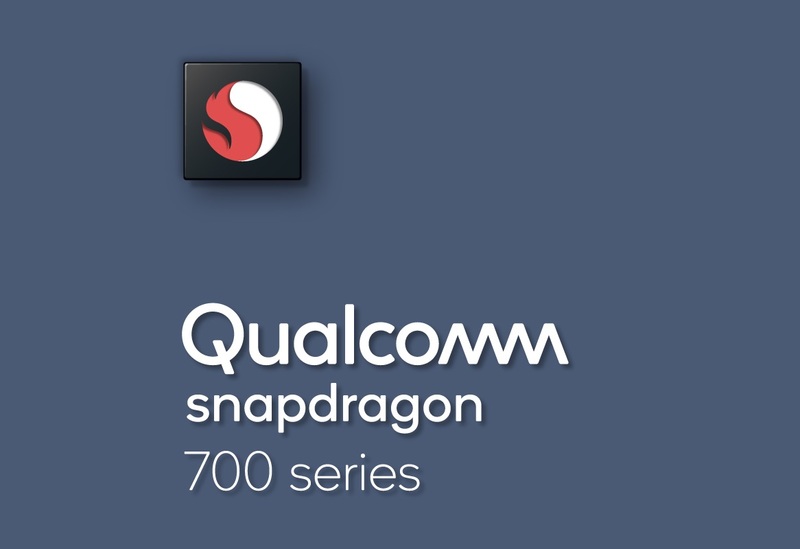 Qualcomm introduced its Snapdragon 710 Mobile Platform and it is the first SoC belonging to the Snapdragon 700 series, a family of silicon designed to be present in more affordable devices while also providing nearly the same performance as those that feature high-end chipsets from the manufacturer. A plus point is that it is made using the 10nm process and also includes things like neural network processing and a multi-core AI engine. Snapdragon 710-powered smartphones will have features that were previously only seen on premium handsets powered by high-end chipsets. 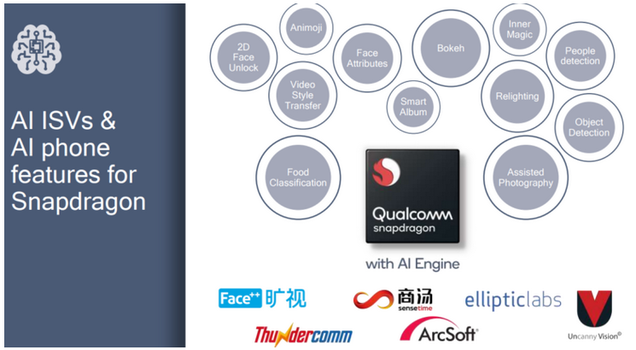 The new chipset will also greatly improve the AI applications compared to the Snapdragon 660 SoC, which was detailed Qualcomm first announced this new series. The octa-core chipset consists of two high-performance custom Kryo 360 cores that are running at 2.20GHz and tackle the more heavier tasks. The other six Kryo 360 cores run at 1.70GHz and do general tasks such as web browsing or media consumption. For graphics, we have the Adreno 616 GPU. The ARM Cortex-based Kryo 360 architecture will offer a 20 percent improvement in performance, 25 percent faster browsing and will launch apps 15 percent faster compared to the previous generation. AI applications will also run quickly and efficiently. The Snapdragon 710 Mobile Platform will also consume 40 percent less power for 4K HDR video playback and gaming applications. In addition 20 percent less power will be used for streaming videos and Qualcomm’s new Quick Charge 4+ technology will charge more than half of the battery in just 15 minutes only. 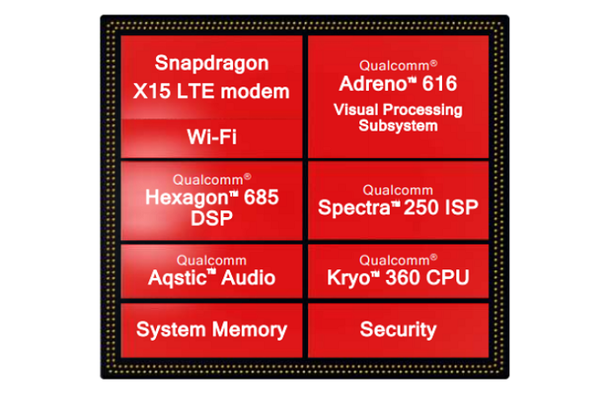 The Snapdragon X15 LTE Modem, that supports Cat. 15 LTE speeds is also included in the SoC. 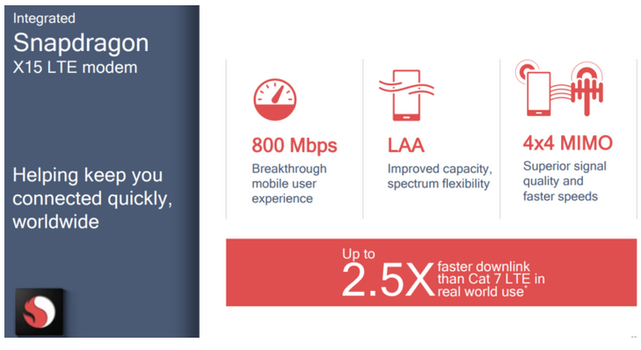 The latest 4G LTE connectivity improvements are also supported by the chip. It will also have pioneering Wi-Fi features and improved Bluetooth 5 multicast audio that will provide support for wireless earbuds. The Qualcomm Spectra 250 ISP has also been integrated into the new chip that will allow users to take pictures and videos of a professional quality. The Vice President of product management at Qualcomm Technologies, Kedar Kondap said that the Snapdragon 710 Mobile Platform will provide features and technologies that were previously only offered by the more expensive chips. The new chip has been integrated with AI capabilities and this, coupled with performance enhancements, will transform the consumer experience for the future. The Qualcomm Snapdragon 710 Mobile Platform is now available to OEMs and it is expected that we will see some Snapdragon 710 powered devices this quarter. Qualcomm is also prepping another higher end SoC called the Snapdragon 730 and it is said to be made using Samsung’s 8nm LPP architecture.